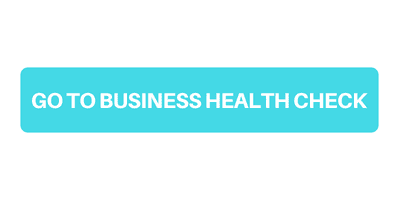 Fidelity Group are delighted to launch a new service: The Business Communication Health Check! Find out if you’re really getting the best value for your business communications. Do you ever feel like you’re not getting enough bang for your buck on your business communications? The truth is, there’s a good chance you’re not! As a consumer, shopping around for deals on business communications can be tiresome. Different companies offer different packages for the same products, all priced completely differently and all claiming to be unique. Confusing right? Most companies require multiple solutions to fulfil their communication strategy, extending the confusion further. Managing products and services from multiple companies can be time consuming, price-ineffective, and just plain tiresome. Why not fulfil your communication strategy with products from just one supplier who do all the hard work sourcing the best solutions for you? Fidelity Group offer a complete service wrap solution, ensuring all of your business communication needs are taken care of! We have a proven track record for providing top tier telecom solutions, which form the backbone of your communication strategy. Our goal is to help your business not only meet your requirements, but grow productively. We will assess your current solutions, check you are getting the best value for money, and ensure that you have access to the latest technologies and services that best support your business needs, now and in the future. Our long-standing partnerships with the best suppliers in the industry allow us the flexibility to match your requirements and budget with a robust solution. Stay connected with our comprehensive service wrap and range of backup solutions so should an emergency occur, your business is protected. To help make your decision easier, we have launched our very own Business Communications Health Check service. This FREE service is a quick and easy way to help you identify whether your business solutions are fit for purpose or perhaps need an upgrade that will save you money and help meet your needs. Completing the communication health check is completely obligation free, so why not check you have the best solutions in place for your business?